To create a online Z card for an up and coming model including many aspects of art and design. 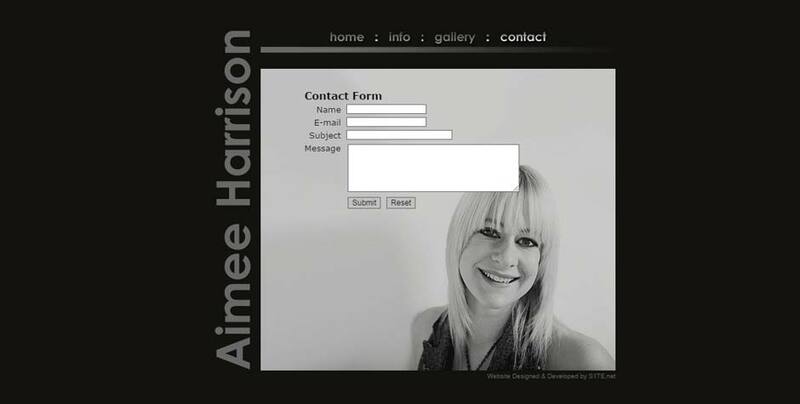 Aimee wanted a modern and stylish website design which enabled visitors to view photos of her within her portfolio easily online. Model Aimee was thoroughly thrilled with the design of her site and said it exceeded all the expectations she needed. The site was designed & created here at S1TE and is hosted on the S1TE web servers, processing many hits per day.